everything a modern amplifier should be; compact, energy efficient, powerful, silent, High Resolution capable, and packed with cutting edge features like DSD and MQA playback. 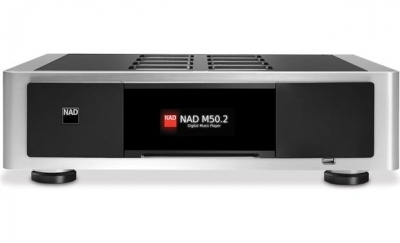 NAD’s expertise in both digital and analog engineering is on full display in this flexible and affordable amplifier. The impressive dynamic power reserves make the C 316BEE V2 sound both articulate and alive. The silent background and low distortion gives a sense of solidity and presence to your music and brings out the best your loudspeakers have to offer. From our flagship Masters Series, to our budget-friendly Classic Series, NAD has a component for everyone. Following in the footsteps of some of NAD’s greatest units, the NAD C 328 delivers the most fundamental of features, while firmly adhering to NAD’s unwavering commitment to exquisite sound. SPDIF Coax and Optical Inputs,Subwoofer Out,Headphone Amplifier. The C 388 ties together all the critical elements of a top performing music system; music sources past, present, and future, in addition to providing a nearly unrestricted reservoir of power that allows your speakers to reveal every nuance of musical detail. As previously stated, you can connect instantly to the C 338 with Bluetooth®, allowing you to stream music wirelessly from any Bluetooth-enabled device. The high performance aptX® codec is fully supported for true CD-quality sound. There is also a control app that allows your smartphone or tablet to control all functions of your NAD. Our C 356BEE DAC with the new MDC DAC built in, symbolises NAD’s desire for continual improvement—even on an award-winning design. We have refined our amplifier performance and added more value to our C 356BEE DAC design by applying knowledge gained from our top-of-the-line Masters Series M3 Amplifier. Improving an award-winning design is always a delicate task. Adding performance and value to an already highly optimised design requires vision, talent, and expertise. The C356-BEE features 2 x 80 watt (RMS) amplification (into 8 ohms), 5 line inputs, 2 tape loops, 2 pre-outs with an accompanying main input and 2 independently switchable speaker outputs for easy bi-wiring or driving speakers in another room. On the front panel there is a headphone socket and an additional line in socket for connecting a portable MP3/CD player, iPod or other device. The C 165BEE is an all new design representing a lifetime of design experience from NAD’s renowned Director of Advanced Developments, Bjorn Erik Edvardsen. The C 715 combines all your favourite music sources into one very compact box. A sensitive high performance FM/AM tuner and a full function CD Player are included. 2 X 20 Watt power into 4/8 Ohms at rated distortion. This is a true BEE (Bjorn Erik Edvardsen) design with all his latest developments including: PowerDrive, Distortion Canceling Circuit, BEE Clamp and an all new and more highly refined circuit layout. The C 568 takes the superb performance of our 5-star rated C 565BEE and steps it up to the next level. Every aspect of sonic performance is enhanced and refined. NAD’s veteran engineers know exactly where to spend just a little extra money for a better quality part, in order to extract the very best sound from the Compact Disc. Curated playlists make music selection and discovery easy and fun. Multi-room wireless audio multiplies the joy. With the NAD Masters M10 we combine all of this goodness with state-of-the-art amplification to make it an all-in-one solution that only needs speakers to transport you to your favorite musical destination. Connect to the emotion of live performance through detailed sound, with both amazing control and transparency. This is the M22. While it is easy to find amplifiers that can excel in one or two areas, the M22 is an amplifier that truly does everything well. Wide open-loop bandwidth, extremely low-phase shift, almost non-existent noise, and high current capability all add up to one incredible performance. The M17 carries on the honourable task of representing NAD’s finest surround sound performance. 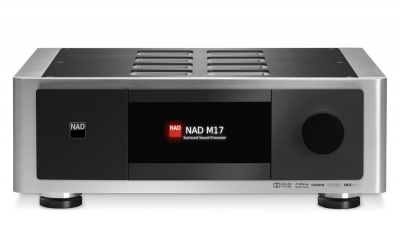 Infinite possibilities await thanks to the M17’s most impressive feature, Modular Design Construction (MDC), NAD’s proven method for preventing premature obsolescence. Dolby® TrueHD™, DTS® Master Audio™ and NAD’s innovative EARS™ (stereo-to-surround) circuits deliver hyper-realism, capturing every dimension of a performance. Add bit-perfect video processing and the M17 delivers the most accurate sound and image experience you’ve ever had. Completely immerse yourself in the moment. With seven channels of massive power, the M27 can effortlessly create a truly realistic surround sound experience that will transport you into the theatre experience.Rated at 180W continuous power per channel, the M27 will provide over 300W dynamic power per channel with all channels driven. The M27 can accept both balanced and single-ended inputs, and features high quality binding posts for speaker connection. linearity and extremely low digital jitter. The M51 accepts PCM data rates up to 24 bit 192 kHz making it perfect for listening to increasingly popular high resolution downloads. Offers everything you need to hear the music you love in the best quality possible. Harnessing the power of BluOS™, the M50.2 allows you to organize and store your music library, while making it easily accessible thanks to the BluOS app. 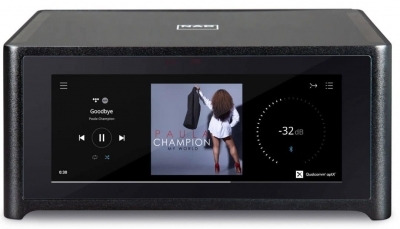 A high resolution network music player, the M50.2 was designed to house up to 24/192 files whether it be from a CD or music download site. is packed with the latest audio and video technologies, including Dolby Atmos® surround decoding and 4K UltraHD (60p/4:4:4) video pass-through, letting you enjoy every moment and detail of your favourite movies, music, and entertainment. 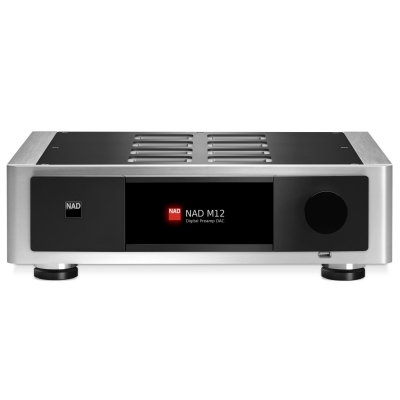 the T 758 V3 continues NAD’s ‘simple is better’ design philosophy by delivering a fluid user-friendly experience. Dedicated to creating products with remarkable sound quality, the T 758 V3 fully embodies all the traits one would expect to find in an NAD product. From lifelike surround sound performance to heart thumping power, the T 758 V3 is a true treat for the senses. 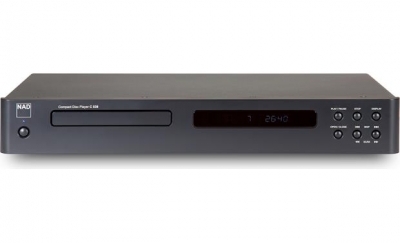 The T 757 supports all popular surround sound and latest digital video technology, including Dolby TrueHD and DTS Master Audio as well as, 3D video at resolutions up to 1080p, plus Audio Return Channel (ARC) and Consumer Electronics Control (CEC). With MDC, the ability to easily upgrade the T 757 to include future digital formats is totally unique and unprecedented. 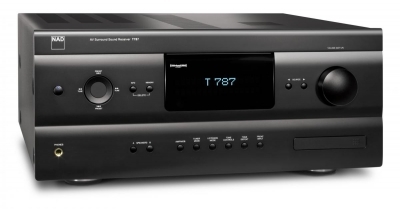 The NAD T 787 AV Surround Sound Receiver's remarkable performance brings movies and music to life. It's the ideal choice for the most advanced home theatre and multi-room systems. Our T 787 features high definition 3D video at resolutions up to 1080p, decoding of all the latest surround sound formats, and a whole lot of pure, clean power. NAD has an enviable reputation for delivering superb value for money, especially when performance is a priority. Though not offering quite the degree of customization of our higher priced Modular Design Construction AVR. The T755 offers remarkable performance and flexibility in a compact and simple to operate package. This multi-channel powerhouse will bring your favorite music and movies to life in your home entertainment room with an absolute minimum of fuss and a maximum of pure enjoyment. 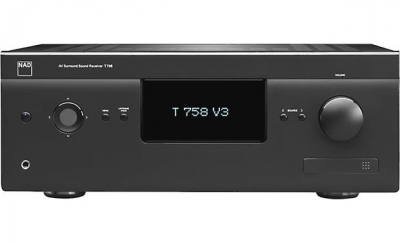 The NAD T765 is heir to many generations of award winning NAD designs. This exceptional pedigree is evident in both the look and the feel of the T765, and it is unmistakable the moment you listen. 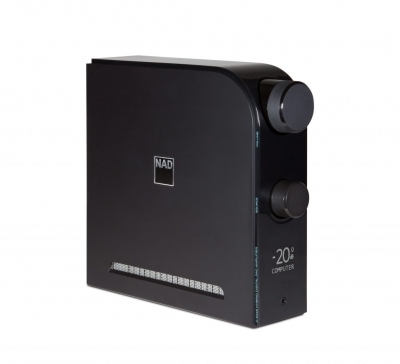 It is NAD’s insistence on creating products with remarkable sound quality at sensible prices that has made NAD the first choice among the most knowledgeable listeners from around the world. NAD’s “Music First” philosophy dictates that we endow our Surround Sound products with the same warm involving sound quality that makes music listening so rewarding with our stereo components. This stands in stark contrast to our competitors who view Surround Sound components primarily from a “content” point of view, with sound quality far down the list of priorities. Yet the T775 is second to none in terms of flexibility and up-to-the-minute digital technology. Recognized worldwide for delivering some of the best values in high performance products, NAD does it again with this new, cutting edge Blu-ray player. The T 577 goes one step further to increase your home entertainment experience by offering the ability to integrate seamlessly with your home network to stream your favourite movies, shows, and videos with the convenient Wi-Fi or ethernet connection. In typical NAD fashion, we designed the C 446 Digital Media Tuner as a very uncommon music player—a gateway to your digital music sources and to the world’s best radio. 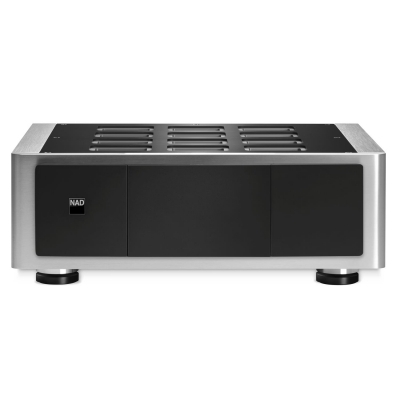 Beneath the classic NAD chassis of the C 446 lays a uniquely powerful digital media player with Internet radio, FM/AM. 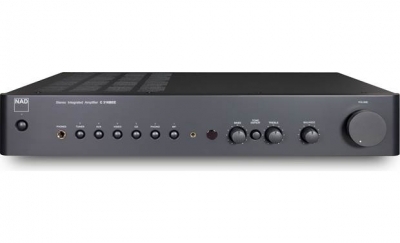 The NAD Model C426 builds on the strengths of previous NAD Tuners by offering a quality of reception that is as good as or better than the quality of today’s broadcasts.